OMG! Wipe those tears away! Here are the perfect things to help ease the pain from your Breaking Bad addictions. They can all be yours, but you only have until October 7th, when bidding ends. 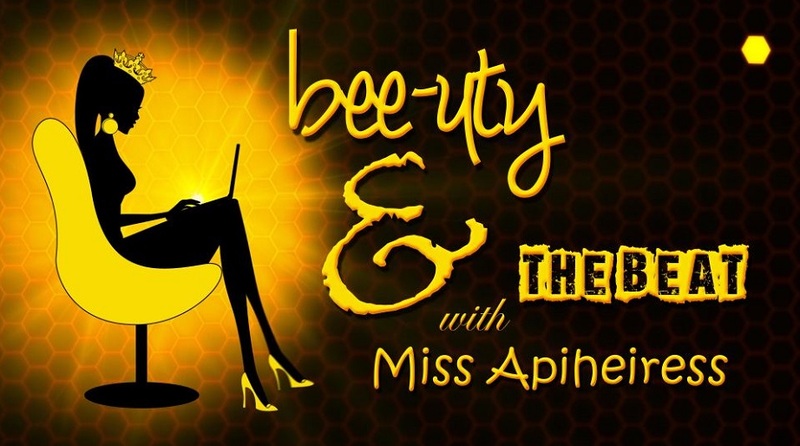 See the link below. This pink teddy bear is one of the most recognizable props in all of Breaking Bad. The bear, custom-built for the show, is seen in numerous episodes, ultimately tumbling from the wreckage of an airplane and falling into Walter White’s swimming pool. 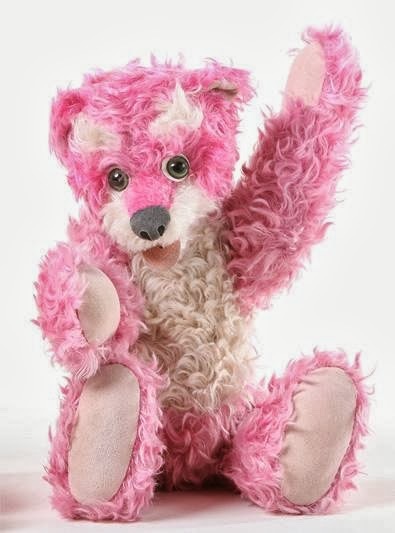 ScreenBid is offering two screen-used bears – one with eyes, one without. Any Breaking Bad fan will immediately recognize this iconic bear, which plays an important role in the series. It will be a treasured part of any collection. One of the most iconic pieces of wardrobe in all of Breaking Bad, yellow suits protected Walter White and Jesse Pinkman from the toxic chemicals they used to cook methamphetamine in Season 1. 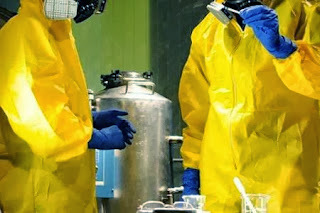 This Tyvek suit is especially important: The extremely recognizable item is one of the very hazmat suits that Bryan Cranston wore onscreen. 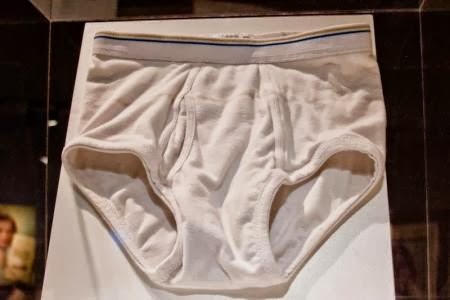 These may be the most iconic tighty-whiteys in television. 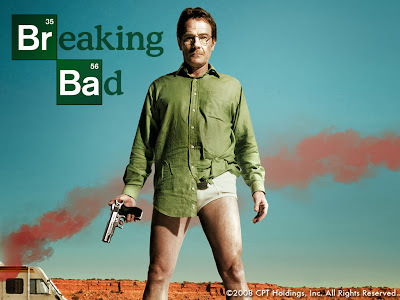 Breaking Bad begins its run with Walter White wearing this pair of briefs. Throughout the series, Bryan Cranston's character appears in tighty-whiteys. 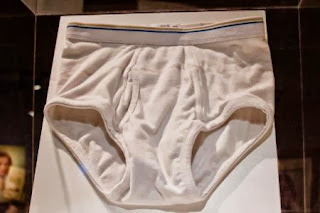 This underwear, now on display at the Museum of the Moving Image, is the pair Walt wore on the first episode of the Emmy-winning show. 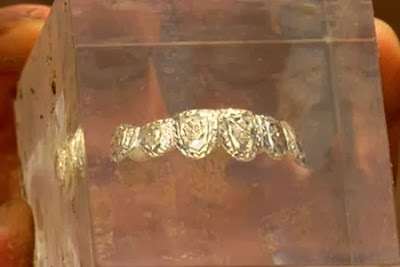 Tuco's grill is one of the most iconic props in Breaking Bad. In a show filled with bad guys, Tuco Salamanca stands out as especially nasty. Early in the show's first season, the violent, drug-addicted meth distributor beat one of his own men to death in front of Walter White and Jesse Pinkman. As famous as Tuco was for his volatility, he was just as famous for his grill – the jeweled cap he wore over his front teeth. In fact, the second episode of the second season is called “Grilled,” just for Tuco. Unfortunately for Tuco, the episode was the bad guy's last appearance on Breaking Bad, because in it, DEA Agent Hank Schrader shoots him to death. Later in the season, Hank’s DEA colleagues give him Tuco’s grill, encased in acrylic, as a souvenir. The grill, sealed in acrylic, is among the most famous props in all of Breaking Bad. This iconic, screen-used grill will immediately become one of the most treasured pieces in any collection. Los Pollos Hermanos may have been the best drug front in all of New Mexico. The chicken restaurant, which bad guy Gustavo Fring ran, apparently served some mighty delicious chicken (even the guys over at the DEA loved the place), and the iconic logo made the place seem harmless. The 2-gallon batter bucket were shown in several episodes of Breaking Bad. And they have the now-famous cartoon chickens. The lid is not included. And the "ingredients" listed are hilarious and kind of disgusting. OK: Very disgusting. 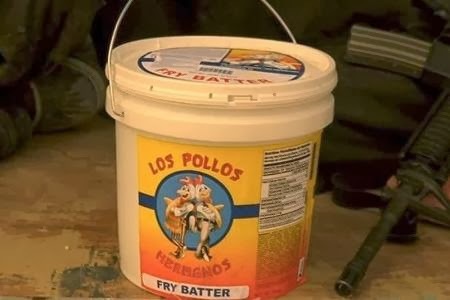 Any Breaking Bad fan will recognize this bucket, which will be a treasured addition to any collection. To see all the items up for auction Click Here.